Spring is in the air here in Florida, which means time for spring shenanigans! 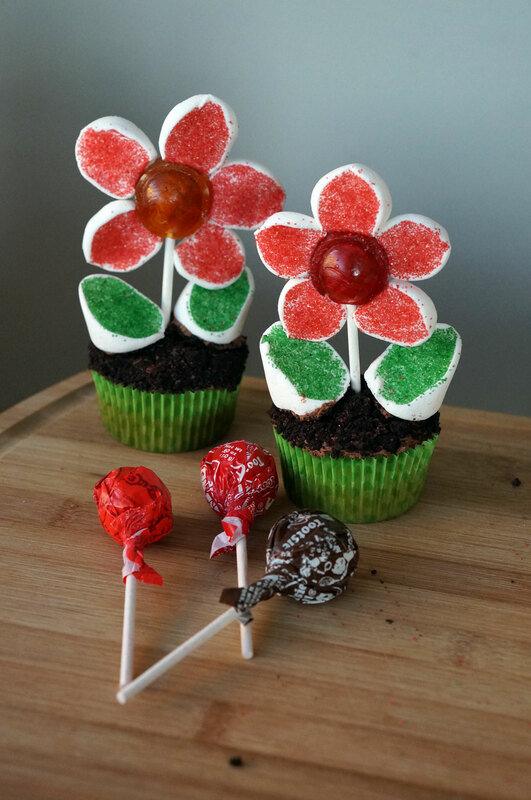 To get the spring spirt, I decided to test out some lollipop flower cupcakes that I found on Pinterest. I have seen several variations. 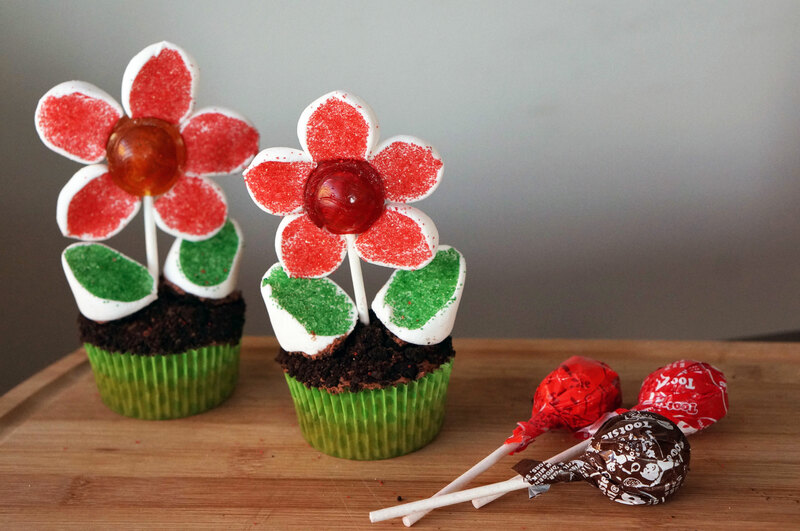 Some with marshmallow petals and some with only the lollipop as the flower. I decided to test out both. Start by baking your cupcakes according to the box. Then let them cool and gather your materials. 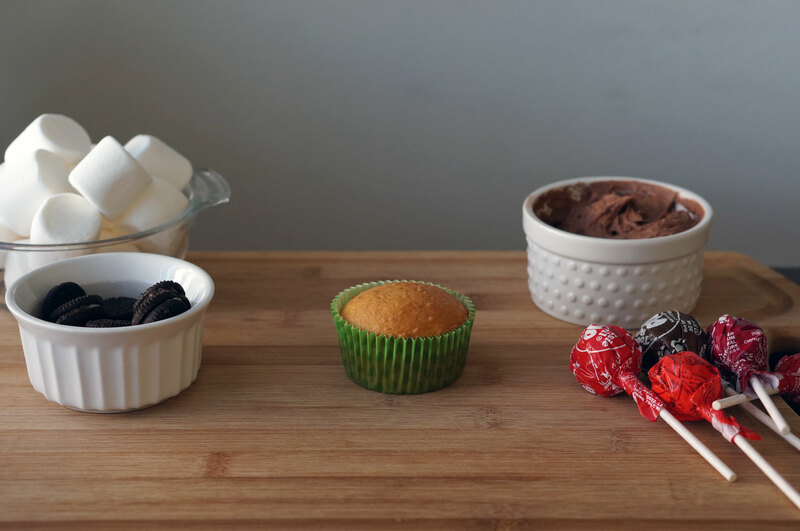 Put a thin layer of icing on your cupcake, then take your Oreo cookies and remove the icing. Crush them up in a bag and then pour them on a plate. 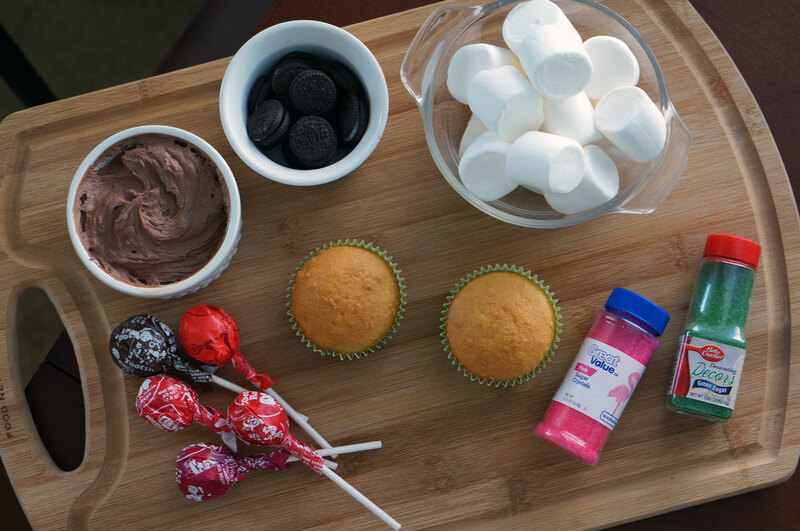 Pat your cupcake on the plate to cover it in the crushed Oreos. 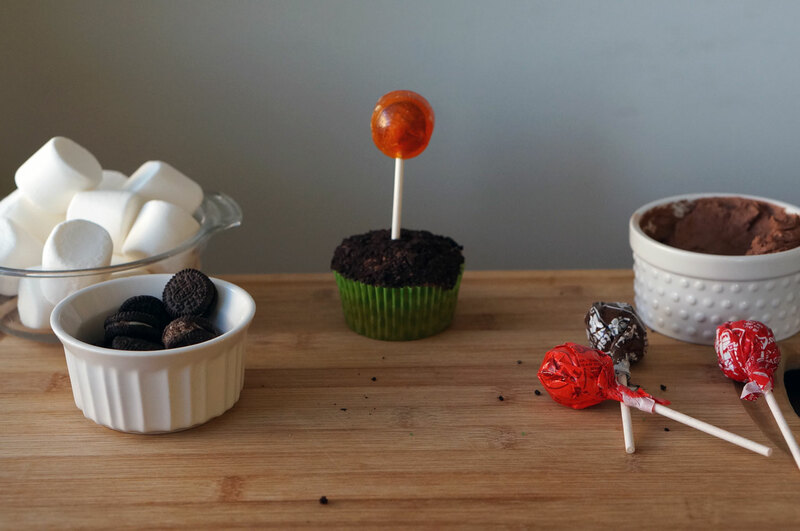 Next, unwrap your lollipop and stick it in your cupcake. After that, take your Marshmallow and cut it diagonally. The inside will be sticky which allows you to cover it in green sugar. 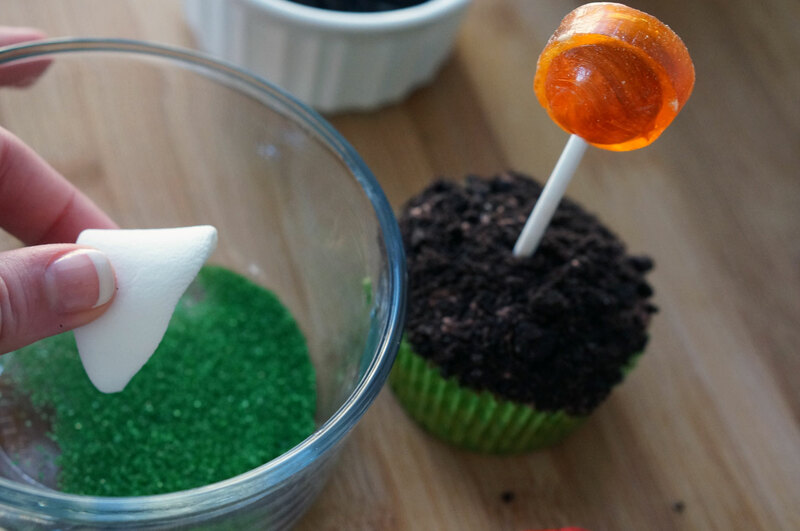 Using icing to secure your marshmallows on your cupcake. 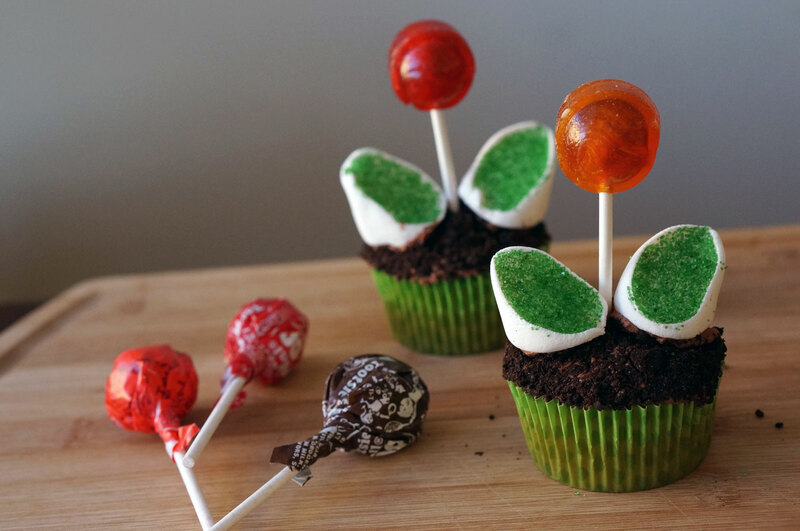 These are super easy to make and I think they are pretty cute, but if you want to take them to the next level you can add petals! I honestly wasn’t expecting the the petals to work, but I was pleasantly surprised! They looked so cute! I tried to take pictures to show you how to make them but it was hard to get the right angle, so I just made a video instead. Click here to watch the full step-by-step video. I will say that although this version looks adorable, they are not the best option for traveling, because the vibration in the car can cause the petals to fall off. So if you are looking to transport these, I would opt to go with petal-less option. 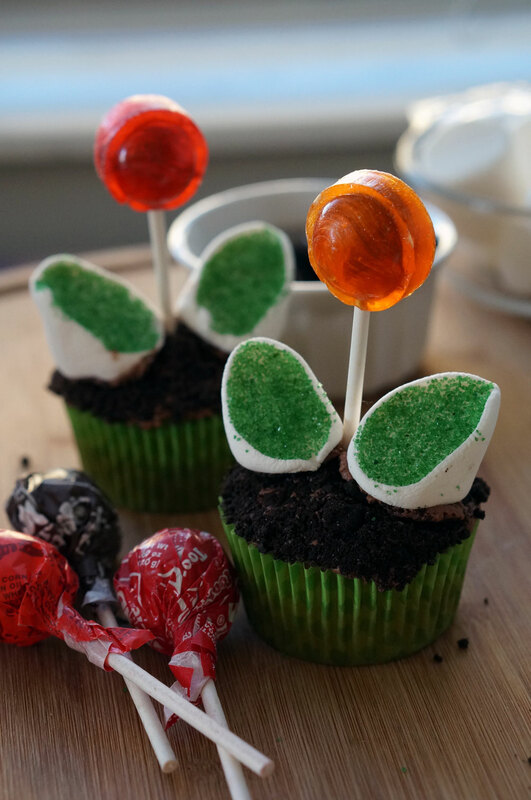 Also be sure to check out my other marshmallow flower cupcake recipe, if you want to create a beautiful cupcake garden. If you try these out be sure to let me know what you think and be sure to like my page of Facebook for new shenanigans every week!